This precious kitty will be glad to help her organize all those hair bows & earrings! A fun addition to the Kitty-lover's room decor! 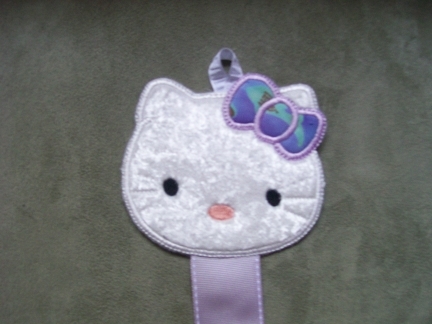 Kitty is appliqued in a fun, soft fabric! You choose main ribbon color.